The traditional all-white gardenia-rich bouquet, updated and given a fashion-forward contemporary twist. This has been my favorite for years and my number one go to scent. It’s such a beautiful tubersode gardenia. I love it’s staying power yet not overbearing. I always get complements on it from both women and men. So glad it’s available online because the saks by me closed. This is my signature scent...people always compliment me on it in public...even turns heads and questions of “what add to wearing?! 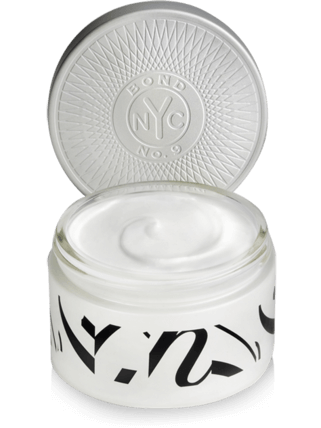 !” Especially wonderful and lasting is you usd the silk cream with it! I love this fragrance. Every time somebody ask me about my fragrance. EVERY time I wear this someone comments on how wonder I smell - especially men. This Is my go to for special occasions! Bought this for my wife and It has become her signature scent. I don't care where we are ...men or women All love this scent. I do as well .....a little goes a long way and lasts all day. the tuberose is pure jasmine and Gardenia are modern and fresh .....definitely not a pungent old lady gardenia smell like other perfumers make ...initials are. ( EL). yuck! but bond nO.9 hit the mark on this one. Just amazing ......If you love a floral scent that is modern and fresh this is the one. one more cute story...try to keep it short. wife and I were out to dinner and busboy came by our table and said ....can I ask what that scent is....so I chuckled and told him it Saks for her by bond nO. 9. I told him it isn't cheap ( figuring his whole check would purchase the bottle) He said I don't care how much it costs ...I want my girl to smell like that. LOL SO it really is a magnet for conversation too. I have witnessed so may great reactions over the last 7 years when my wife wears this scent. Still my favorite on her too. This fragrance is a HUGE Tuberose, you could say its totally over the top. But I mean that in a positive way, as New York itself is over the top in many ways. The fragrance is intense, coconut like and green. The creamy floral note pierces through the air and takes the hearts by everyone aroung by storm. Tuberose is a special flower, as its smell is sometimes rubbery, like menthole, coconut, blood and flesh. 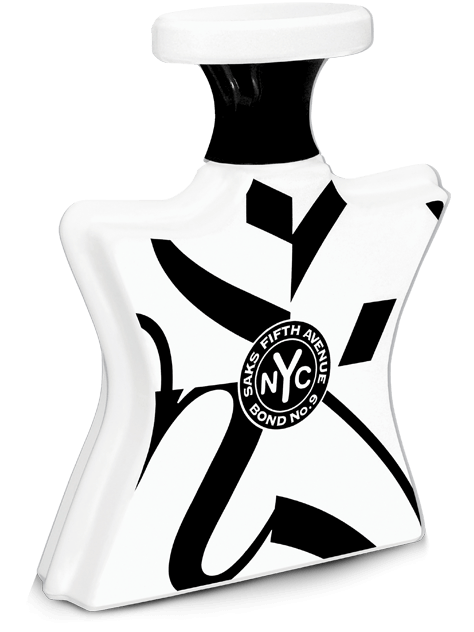 Bond managed to get all the good parts bottled, making Saks Fifth Avenue a creamy and sweet perfume for ambitious Ladies.